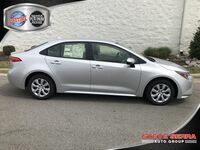 The Toyota Corolla is the reliable, fun, and exciting vehicle choice. 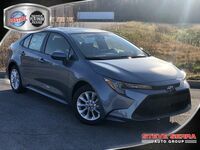 The Corolla has long been a key player in the Toyota vehicle segment and has tons of satisfied drivers. It is a beloved choice of car buyers for its impressive efficiency, sporty and sleek styling, and exceptional value. This sporty sedan has been built for those who want to stand out from the crowd. Its exterior styling is precise, aerodynamic, and athletic. Like all Toyota vehicles, the Corolla comes equipped with the latest in technology, safety, and convenience features. 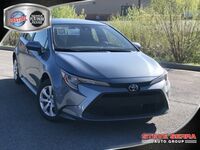 The Toyota Corolla has an array of trim levels that make it easy to pick a Corolla that suits you. 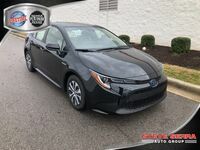 Depending on the trim level, you can manipulate the interior materials, the connectivity technology inside your Corolla, the exterior elements, and the safety features with which your vehicle comes equipped. The Corolla is the adaptable vehicle that can suit anyone. Its built for urban driving, laid back country cruises, and is essential for roadtrips. 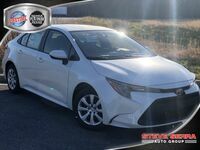 The Toyota Corolla is truly a unique vehicle. Thinking about getting into a new vehicle but aren’t sure if you’re ready to commit? Why not think about leasing? The lease is a great tool for those who want to keep up with the fast-paced automotive market. With lease terms being relatively short compared to how long you would normally own a new car, leasing lets you have the freedom to change your car every couple of years and stay up-to-date. Normally, you’ll pay less per month when leasing and less of a down payment. All around, leasing is a great option that gives car shoppers many benefits. 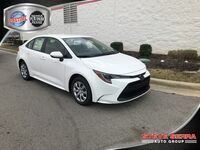 Would you like to know more about lease offers from Serra Toyota of Decatur? Contact us! We’ll be happy to help you find the right Toyota lease for you. 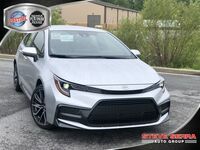 The 2018 Toyota Corolla is offered in seven different trim levels, allowing you to customize your Corolla to your needs. 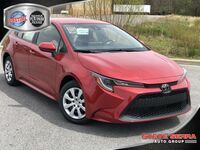 The 2018 Toyota Corolla is equipped with a 1.8L 4-cylinder engine. This equipment can produce up to 140 horsepower. The Toyota Corolla comes with standard Toyota Safety Sense™ P (TSS-P) on all 2018 models. 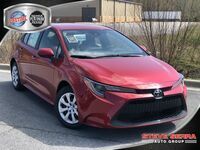 The 2018 Toyota Corolla is built with drivers and passengers in mind. It features soft touch materials and comfortable seating. Standard features on this model include Entune™ Audio, backup camera, and more! 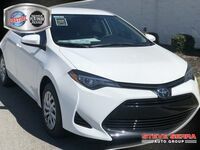 The 2018 Toyota Corolla can achieve 28 city/36 highway mpg*.